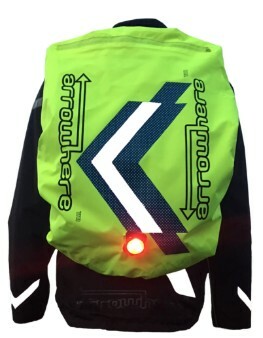 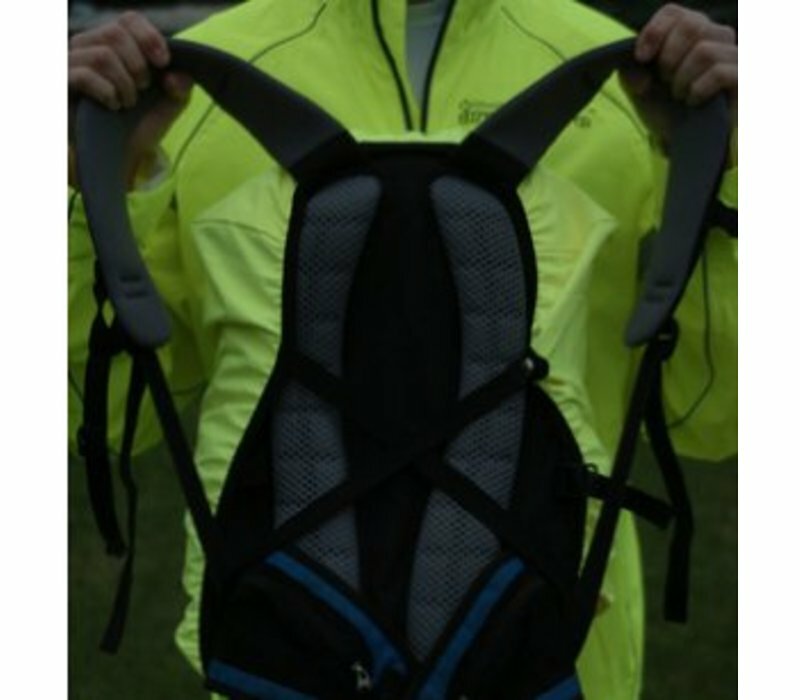 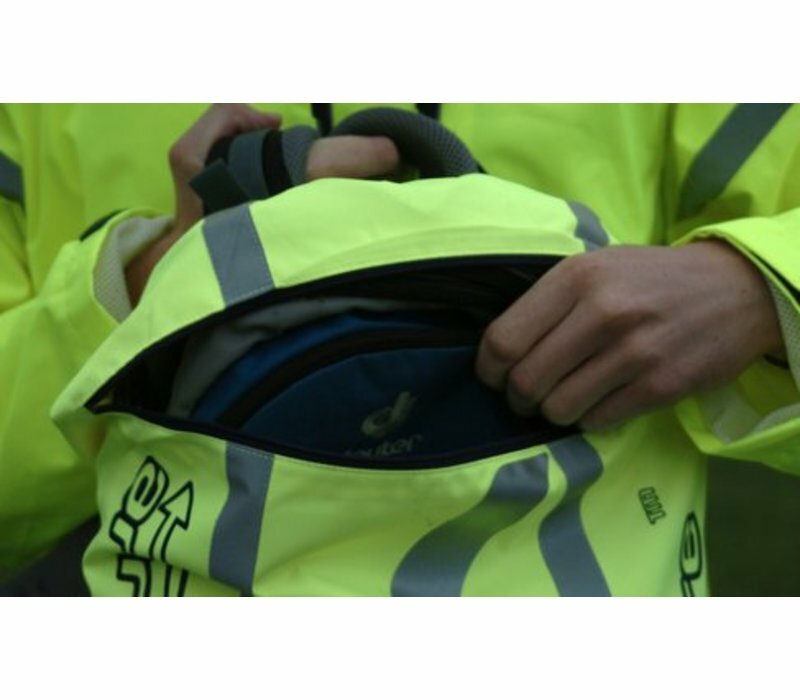 The ArroWhere Plus Backpack Cover means that you can wear cycling backpack and still be visible. 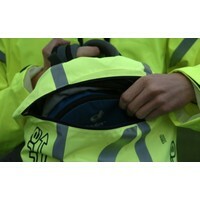 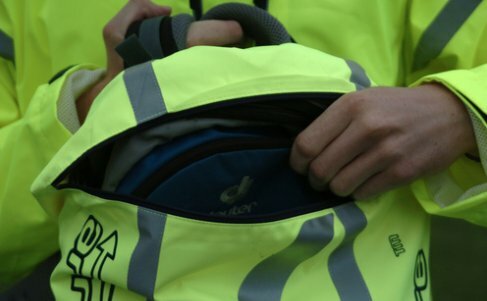 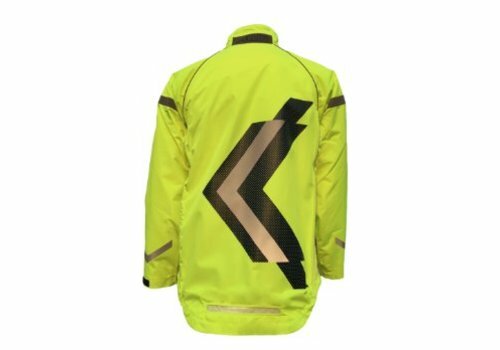 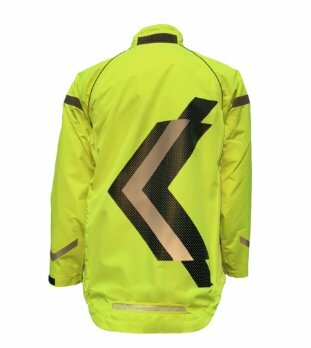 Our backpack cover is so visible from behind that some riders do not wear a high visibility jacket with it during the day. 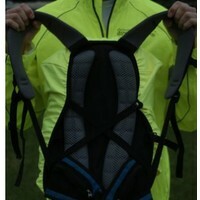 100% polyester, waterproof, windbreaker backpack cover in size Large (28-45L). 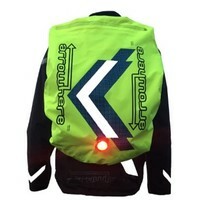 Comes with removable USB-Rechargeable Bike Light. 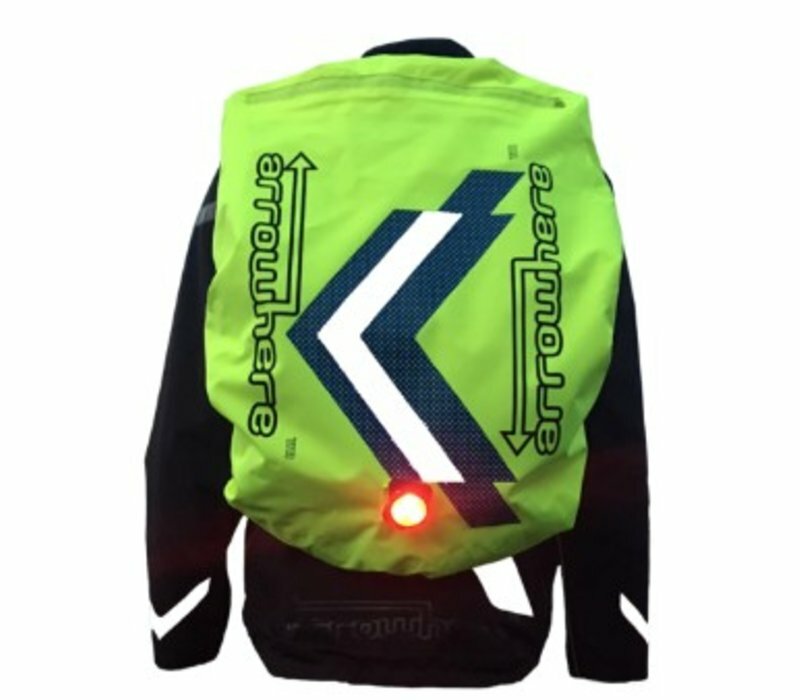 ArroWhere Plus adds a new, contrasting patent-pending ArroWhere design, the ArroWhere Arrow concept becomes more visible during the day, and at night with USB-rechargeable LED integration.